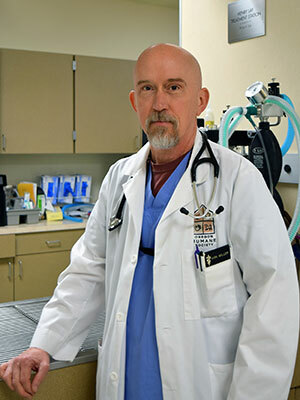 Oregon State University and the Oregon Humane Society recently completed a study looking at ovarian pedicle ties in cats. The specific objectives of this study were to 1) evaluate the rate of hemorrhage-related complications across a large number of feline pedicle tie procedures and 2) evaluate for a difference in surgical time between traditional pedicle double-ligation and pedicle tie procedures. In the initial phase of the study 2136 intact female cats underwent an ovariohysterectomy using the pedicle tie technique. Hemorrhagic complications not detected intra-operatively were to be confirmed via exploratory surgery or necropsy. The second phase of the study recorded the duration of surgery for 4 groups: kittens undergoing pedicle ties (n=50), kittens undergoing pedicle double ligation (n=49), adult cats undergoing pedicle ties (n=50), and adult cats undergoing pedicle double ligation (n=54). Kittens were defined as a cat 4 months old or younger. Statistical comparisons of age, body weight, and surgical times between the pedicle tie and pedicle double ligation groups were performed within, but not between, kitten and adult cat categories. The study demonstrated that the pedicle tie technique is associated with a very low risk for hemorrhage-related complications and is significantly faster than double ligating the ovarian pedicle in both kittens and adult cats. Use of the pedicle tie technique has the potential to be of significant economic benefit in institutions that are performing large numbers of feline ovariohysterectomies.